Human evolution is the crux of evolutionary theory. 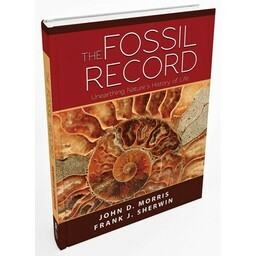 This book addresses the most recent fossil evidences on this very important topic. Rupe and Sanford have thoroughly investigated, from the primary sources, the fossil evidences for human evolution. In Contested Bones, Rupe and Sanford have thoroughly investigated, from the primary sources, the fossil evidences for human evolution. Contested Bones is the result of four years of intense research into the primary scientific literature concerning those bones that are thought to represent transitional forms between ape and man. 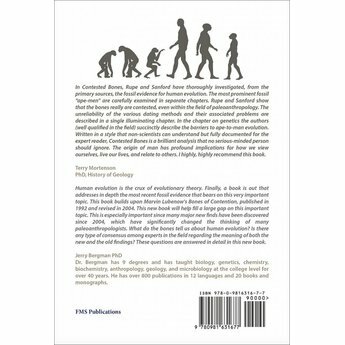 This book's title reflects the surprising reality that all the famous "hominin" bones continue to be fiercely contested today-even within the field of paleoanthropology. 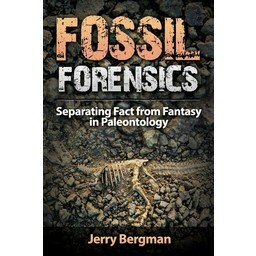 This work is unique in that it is the most comprehensive, systematic, and up-to-date book available that critically examines the major claims about the various hominin fossils. Even though the topic is technical, the book is accessible for a broad audience and is reported to be engaging even for nontechnical people. 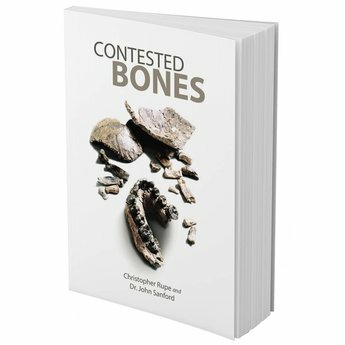 Contested Bones provides new insights regarding the history of paleoanthropology, and the sequence of discoveries that bring us up to the current state of confusion within the field. The authors provide alternative interpretations of the hominin species. Surprisingly, the conclusions of the authors consistently find strong support from various experts within the field. 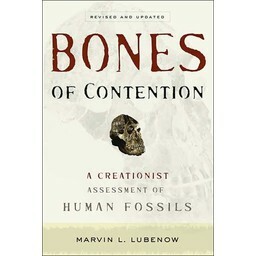 This book addresses a wide variety of important topics... "Which, if any, of the species gave rise to man?" "Did 'Lucy's' kind walk upright like modern humans or did they live among the trees like ordinary apes?" "Was 'Ardi' the earliest human ancestor?" "Were 'Erectus' and the newly discovered 'Naledi' sub-human or were they fully human?" "What are the implications of the growing evidence that shows man coexisted with the australopithecine apes?" "Are the dating method consistently reliable?" "What does the latest genetic evidence reveal?" "Can we be certain that man evolved from an australopith ape?" Contested Bones brings clarity to a fascinating but complex subject, and offers refreshing new insights into how the pieces of the puzzle fit together. Shipping Weight: 1 lb. x 1 oz.